In Episode 12 artist Frank Buffalo Hyde spoke of a new indigenous art market hitting the scene in Santa Fe, New Mexico this year called IFAM (Indigenous Fine Art Market). I wanted to give a space for information and resource about this new market because it is produced by and for indigenous peoples, and I am hopeful it will bring wonderful things to the Native art world in the future! What is the Indigenous Fine Art Market? IFAM is a celebration of native art and the cultures that inspire it. It was born out of a positive movement by artists who want a voice in how their market is produced. IFAM is a juried art show and will include only the highest quality artwork. Also featured will be different cultural performance stages representing tribal diversity. IFAM Kickoff Glow Dance Party: Wednesday, August 20, 9pm-1am. The Den, Santa Fe. For more information on the artists participating in the first annual Indigenous Fine Art Market visit the IFAM WEBSITE. In Episode 11, I interview film maker and activist Sophie Rousmaniere. I wanted to take a moment to highlight her two most recent film projects, Radio Taboo and Yellow Fever. Here you will find more information on the projects, who is involved and how you can contribute. Learn more about Radio Taboo on their WEBSITE. Yellow Fever is a documentary film that follows young Navajo veteran, Tina Garnanez on her journey to investigate the history of the Navajo Uranium Boom, its lasting impacts in her area and the potential new mining in her region. She begins as a curious family member and becomes an advocate, lobbyist, activist and vocal proponent for transparency and environmental justice. This cautionary tale exposes the legacy the Navajo people have been struggling with for decades and their relationship to Uranium’s ill effects. Learn more about Yellow Fever on the WEBSITE. Episode 10 features artist, curator, quad roller skater and all around power house, Loriann Hernandez/ Elle Seven. Hernandez is connected to various sub-cultures and creative hives across the globe and has a keen eye for spotting authenticity in a persons character and work. I wanted to allow a space for further connection into the world of Hernandez, highlight her diverse community, and create an introduction to the many artists and collectives that Hernandez contributes her energy to. I invite you to take a moment to widen your gaze and look further. Support URBAN CANVAS, The organization founded by Elle Seven/ Loriann Hernandez. Get updates on exhibitions, emerging artists and worldwide projects! Join the ELLE SEVEN FAN PAGE. More information HERE on the RIDE Exhibition; Communities Empowering Themselves Through Mobility, curated by Elle Seven as mentioned in our interview. Read more about Loriann Hernandez/ Elle Seven on the 4Culture website, Seattle's foremost connection to art and culture. Below is a Documentary by Elle Seven about the skate scene in Dakar, Senegal. The Mexican born Acevedo hails from Oaxaca, the same state as the great artist Rufino Tamayo but his major influence come from across the pond via the figurative painter Francis Bacon who's known for bold and emotionally raw imagery. Following in the vein of Frida Kahlo, Latina figurative, portrait and landscape artist from La Puente, CA. A contemporary artist whose work combines the all-female sport of Roller Derby with the nostalgic innocence of candy and sweets in a pop art style. A painter, illustrator, designer and DJ who has created a multitude of works that have broken through different genres & styles of music and visual communication. A San Carlos Apache-Akimel O'odham painter, printmaker and photographer from Arizona, who founded Apache Skateboards and Apache Skate Team. A Senegalese digital artist, painter, illustrator and skateboarder. Pixel's designs are on billboards across Dakar! Born in Kiev, the capital of Ukraine, early into her career Mila abandoned engineering to pursue art. As a self-taught artist Gokhman found her own approach to the materials she worked with: wood, clay, precious stones, metal, fabrics, and her preferred medium-leather. 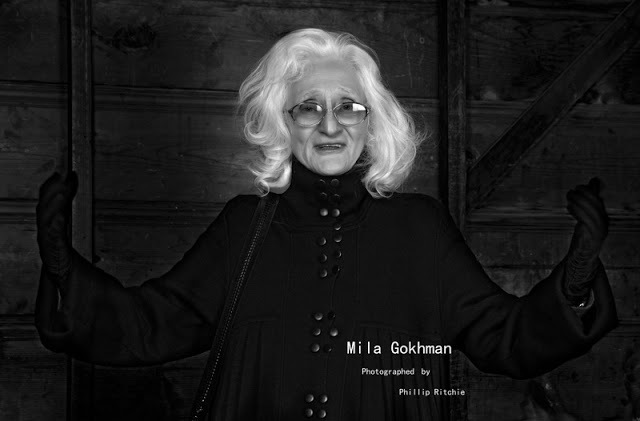 Gokhman collaborated with the best fashion houses in the Soviet Union, and she worked as designer and costume director for the theatre. She has exhibited at museums, libraries, and palaces throughout Kiev, St. Petersburg, and Tallinn. A second-generation illustrator, Gavin Bird at a young age had already developed his own artistic style. Mechanical birds, decorative skulls and morbid paintings are subject matter that are not often associated with artists from the Dirty South, yet these are the ideas that Bird tends gravitate toward, executing each piece with a unique and refreshing interpretation of line and form. Currently out of Jackson, Mississippi, Bird is on a roll being a skateboarder himself and is designing for organizations, companies and crews looking for fresh new ideas to bring to the skateboard community. Check the links below and get with the underground skating/ roller skating updates and support worldwide! 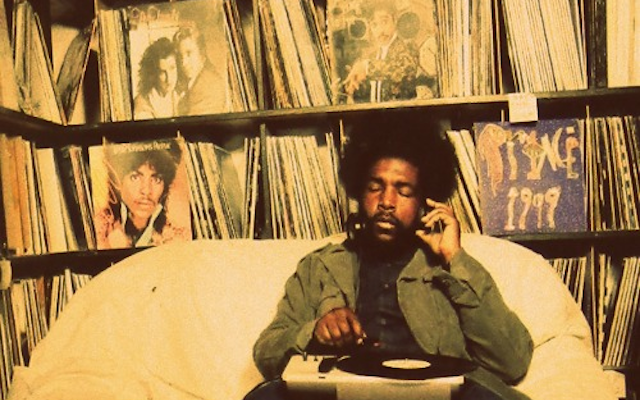 Being a DJ and record collector myself, I am in a constant search for those divine albums that can be added to the area of my music collection titled 'never get's tired'. Secrets of the Invisible, written and produced by Cloud Face has definitely found a home in my 'favorites'. With it's elegant and precise production, each song on the album compliments and builds on the previous, creating a story type experience that many albums fail to accomplish today. In ABC's Episode 9 podcast, we feature the multi-faceted Navajo/Hopi artist Patrick 'Cloud Face' Burnham. While music production is only a small slice of his creative pie, in my humble opinion, it stands as one of the more intriguing aspects of his work, and an element I hope we see more of in the future. His first full length release, Secrets of the Invisible continues to inspire and evoke emotion and unfold new layers and depth with each listen, and has remained in my media player since I received a copy several years ago. We can expect a new album from Cloud Face in the near future, but in the mean time, pick up Secrets of the Invisible and put it in your rotation! You will only wish you had sooner! Click on the links to get Secrets of the Invisible and stay connected to the music of Cloud Face! In Episode 8 we feature artist Rebekah Tarin. Tarin speaks in our conversation about her life in Peñasco, her work with The Peñasco Theatre Collective and it's importance in the community. An incredible resource in New Mexico, if you are not familiar with The Peñasco Theatre here is the low down! On Highway 75, nestled between the dollar store and Peñasco schools, is one of the areas best-kept “not-so-secret” secret. Hand built in 1940 by Amado Roybal, the Peñasco Theatre stands as a testament to the resiliency of a community gathering place, and the importance of keeping alive performance traditions. A non-profit community arts project the Peñasco Theatre Collective (PTC), a group of performers and visual artists that call Peñasco home continue the tradition of utilizing the arts to bring people together in a mutually respectful culturally diverse environment. From ongoing youth performance after-school classes based in circus arts to a fabulous summer theatre season showcasing local, national and international artists, the theatre offers a wide array of creative experiences for the artistically adventurous. The theatre plays host to a monthly “Open Stage” inviting local talent of all experience levels and mediums to strut their stuff in a supportive and nurturing environment. Every summer, for the past 13 years, the theatre presents a youth circus arts workshop filled to capacity with enthusiastic and inspiring young performers ranging in ages from 5 to 17 years. PTC artist/educators also hit the road with their talents and knowledge bringing multi-disciplinary arts instruction to school students all over Northern New Mexico. PTC partners with various community organizations including Penasco Schools, La Jicarita Charter School, Art For the Heart, Moving Arts Española, and is the northern campus of Wise Fool New Mexico. SERENA RASCÓN is a 26 year old performer, dancer, teacher, and dreamer born in Las Cruces, raised in Española, NM. Her life in the studio began at three years old in Taos, NM. She performs and trains nationally with a wide variety of choreographers, instructors and dance companies. Currently, Serena performs with Wise Fool NM, and teaches dance and circus arts with several Northern New Mexico youth arts organizations including Wise Fool NM, Moving Arts Española, and Arts in the Schools in Espanola and the Peñasco Theatre Collective. Serena is currently an artist-in-residence at the Peñasco Theatre. ALESSANDRA OGREN is a director, choreographer, accomplished aerialist, visual artist, lightning designer, actress, dancer and teacher with extensive experience in many aspects of the performing arts. Alessandra is a co-founder and former co-artistic director of Wise Fool New Mexico, a community-based performance company incorporating circus arts into visual theatre. Alessandra teaches circus arts in the US and Internationally. She is currently Artistic Director at The Peñasco Theatre. Episode 7 of Art Beat Conversations features artist Jamison Chas Banks. In our conversation Banks talks about an upcoming multi-faceted installation project he has been working on for a massive upcoming exhibition in Santa Fe, NM entitled SITElines. SITElines is a new biennial exhibition series that explores contemporary art from the Americas, spanning Nunavut to Tierra del Fuego. The Santa Fe Reporter gives us a sneak peak into the installation and the thought process behind the work that Banks will be presenting at the SITElines biennial. Check out this short video clip below blogged by SFR writer Enrique Limon. Episode 6 of Art Beat Conversations featured artist Amaryllis DeJesus Moleski. In our conversation, DeJesus Moleski speaks about another side of her artistry, her digital work for organizations like the Brown Boi Project and Strong Families. These organizations focus on equality for all human beings and families. 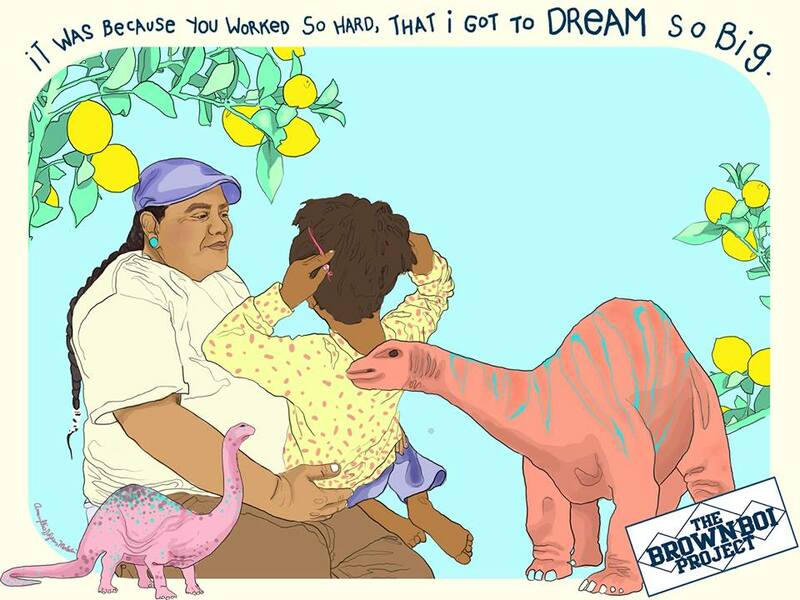 I wanted to include more information on the Brown Boi Project and Strong Families along with some of the vibrant and inspiring imagery Amaryllis has done for them. I hope that seeing this use of activated art for equality will inspire you to look further into the work these projects are doing and help spread a better understanding of the many resources that exist for all families. Strong Families is a home for the four out of five people in the United States who do not live behind the proverbial picket fence – whose lives fall outside the outdated notion that a family consists of a mom at home and a dad at work. While that life has never been the reality for most of our families, too many of the policies that affect us are based on this fantasy. From a lack of affordable childcare and afterschool programs, to immigration policy and marriage equality, the way we make policy and allocate resources needs to catch up to the way we live. I wanted to share some more information about the 'Other Side' of Featured Artist Micah Wesley, The DJ Were Wulf! When I first met Micah Wesley he introduced himself as "The Were Wulf" and showed me to the DJ set up at The Humble warehouse in Santa Fe, NM, where I would be playing records alongside him for an 'art show'. At that moment I knew I had found a friend for life. He was playing vinyl...on turntables! And not playing your average set of genre specific records, but playing what felt good at the moment, shifting from Punk to Electro with a seamless ease only an old Vestax mixer with a built in effects box could achieve. He would take time to sing along, to move around the room, to engage with his surroundings. He would take requests, it they were worthy, and most importantly The Were Wulf kept the party live! I was like, "Hell Yah!" DJ Were Wulf holds it down at "The Garage" in Norman, OK.
"I play the genres of Old School, 90's Hiphop, Current Rap Crap, Down Tempo(i love), House, Outlaw Country,Rockobilly, a little Punk and a little Metal. I play on 2 turntables, I have a sound system, and I have lights. I am for hire, of course for a huge fee in 3 easy payments and 1 hard payment!!! Waaaay!!!" DJ Were Wulf's Mixtapes on SoundCloud! When I spoke with ceramic artist Courtney M. Leonard on Episode 4 of ABC, she had recently returned from a journey to Aotearoa (New Zealand). There she engaged in a two week indigenous artists gathering, Kokiri Putahi, where people of different craft from around the globe were invited to work side by side in an intensive sharing of culture and technique, creating a immensely dynamic event that will continue to weave together the lives of the artists involved for years to come. Indigenous Artists Courtney M. Leonard, Tai Mamaku and Victor Tepaa at Kokiri Putahi 2014. Leonard was glowing when she spoke of her experience at Kokiri Putahi, and so I felt compelled to share a bit more about the 7th International Indigenous Gathering of Artists. Below is a film that captures the essence of the experience from this extraordinary event. More information about Kokiri Putahi and the Ngapuhi Festival Here. Jesse Hazelip and Bianca Casady have been collaborating to some extent for a time now, and both share a radical approach to speaking out through their work on the issues they feel are important, that need to be addressed. The artists call their artistic collaborations Twin Rivers, and I hope there is more to come from these two truly inspiring artists. For Hazelip's, Love Lock: Cycle Of Violence exhibition, which just finished its run at the Jonathan Levine Gallery in NYC, a performance took place called Visitation, in which Jesse Hazelip along with Bianca Casady occupied a replicated site-specific jail cell made of plexiglass, built to the size of a solitary confinement unit (six by nine feet). For more information on the Love Lock: Cycle Of Violence project, check out this great article by Julia Silverman for Complex Art+Design. If you are not familiar with the work of CocoRosie, below is the music video for the song Child Bride off of their latest album, Tales Of A GrassWidow. Art Beat Conversations Podcast Episode 3, Interview with artist and activist Jesse Hazelip will air on March 21, 2014. 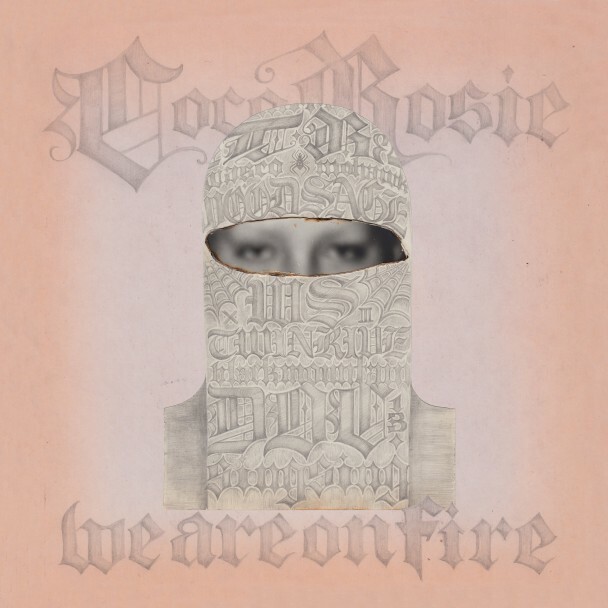 Music featured by CocoRosie. While producing the interview with ceramic artist Cannupa Hanska, (Episode 2, airing March 10th 2014) I couldn't help but feel compelled to include the music of The Wake Singers. The final track of the podcast is by The Wake Singers, titled The Humble and is a direct reflection of a moment these artists along with artist Cannupa Hanska experienced while attending IAIA in Santa Fe, NM and living collectively in an artists warehouse. I thought it would be fitting to highlight The Wake Singers because Cannupa Hanska speaks of this time in his interview, but also their music is simply exceptional. If you haven't heard The Wake Singers before, take a minute to listen to this unique and haunting lo-fi folk/rock. Doug, Mike and Marty Two Bulls (Oglala Lakota) formed The Wake Singers while attending art school in Santa Fe, NM. The trio are cousins from Red Shirt Table, SD. Located on the Pine Ridge Indian Reservation. They have been known to play live on rare occasions and prefer to record lo-fi rock/folk songs. Episode 2 of ABC is an interview with ceramic and mixed media artist Cannupa Hanska. Catch the podcast release March 10th, 2014 for the full story. One of Cannupa's recent exhibitions was a conceptual body entitled Stereotype: Misconceptions of the Native American. It showed at the MoCNA in Santa Fe, NM August thru December of 2013. At the end of this exhibition Cannupa Hanska proceeded to break the seven ceramic boom-box vessels he had meticulously created, each embodying a stereotype of The Native American. This exhibition was reviewed with a mix of emotions by viewers and ultimately left the audience thinking, feeling and reacting. In my opinion evoking participation from the observer, positive or negative, profound or subtle, is the true test to a lasting context within a body of work, even if the work itself is destroyed. This exhibition did just that, and it also continues the much needed dialogue regarding cultural appropriation and stereotyping of indigenous culture. Indigenous filmmaker Dylan McLaughlin documented Cannupa's Stereotype exhibition and performance in a short film, Breaking the Stereotype. The two artists are currently working on launching a crowd funding initiative this month in order to create a full length film that will further explore this topic. I will post a link to the project when it launches. Here is the short film on Stereotype: Misconceptions of the Native American, produced by Dylan's studio, INVISIBLE LABORATORY. My name is Miss Ginger and I will be your host on a journey into the mind of the artist. My goal with this blog/podcast collection is to allow you to understand the process behind the work of an artist. 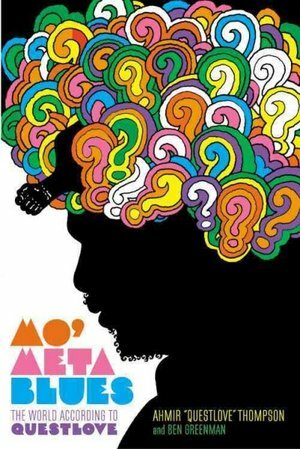 If you could sit down and pick the brain of someone whose work you admire, or who's lifestyle or passion you are intrigued by, what would you ask? What would you want to know? Where would you want a conversation to take you? I will release a new podcast interview each month beginning in February 2014. Each month leading up to the podcast release i will post blog entries pertaining to the type of work and world that the upcoming artist is related to. I will be covering a wide range of subject matter with the main thread being The Artist themselves and their process. I will talk to Visual Artists of all mediums, Musicians, Activists, DJ's, Performance Artists, Art Collectives and anyone who I find that is so inspired by their work that they cannot do much else in this life. The goal is to find out what is behind the art. What is the process that makes the human make the art.